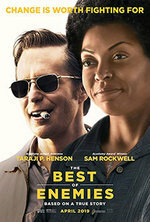 SYNOPSIS: Civil rights activist Ann Atwater faces off against C.P. Ellis, Exalted Cyclops of the Ku Klux Klan, in 1971 Durham, North Carolina over the issue of school integration. © Redwood Drive In Theatre. All Rights Reserved.